Awesome stuff, thanks for posting! I’ve always wanted to hear more of this music. There’s also a track curated by Marshall Wyatt on the Old Hat Records’ release, “Folk, He Sure Do Pull Some Bow!” http://www.oldhatrecords.com/cd1003.html — I don’t know whether that track, Cabo Verdranos Peca Nove, duplicates what’s on the Heritage release. Thanks, Scott, glad you like it! I somehow missed the Old Hat release and will definitely mention that in the post. But, yes, that particular song on the Old Hat CD was/is also on the “Portuguese String Music” Heritage comp. Azores and Madeira are not Portuguese colonies. They are part of Portugal, as all the islands belonging to both archipelagos were not inhabited when the Portuguese sailor first arrived. Cape Verde is a former colony. Anyway, great stuff. Thanks for sharing this. Absolutely correct, of course – not sure how I lazily got that incorrect, as I knew that. Regardless, it’s fixed and I’ve thanked you, Joao! Have been following your blog for a few months and while I always enjoy the music, this post’s link to an early Azorean recording has me particuarly hyped! 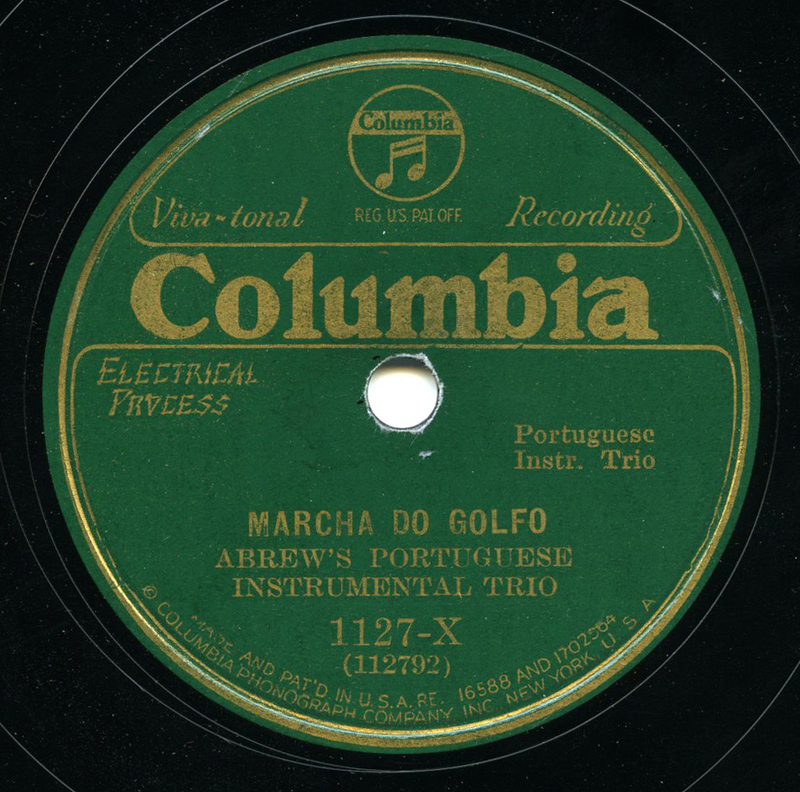 I grew up on the Azores, and there’s hardly a recording industry there now, so it’s pretty amazing to hear about early 20th century recordings. Thanks! What a wonderful blog! Much success to you! Thanks, Amanda – glad you found me! Thanks, this is fine. It send me scurrying for the Old Hat comp, then I realized I don’t have that one, but the earlier fiddle CD they put out! Sorry Artur, not for sale. Wow – nahon, yes! Amazing! Do you have any links to any smaller bands playing that song, rather than the military-style bands I can find on Youtube? This is really great.